She and I have traveled together, and roomed together at various Quilt Retreats over the last five years and she’s admittedly a little grumbly in the morning until she gets her coffee. She’s been known to manipulate and bribe me to go retrieve her coffee for her, just like her hubby does for her at home. It will be auctioned off at the Des Moines AHA Gala in February. 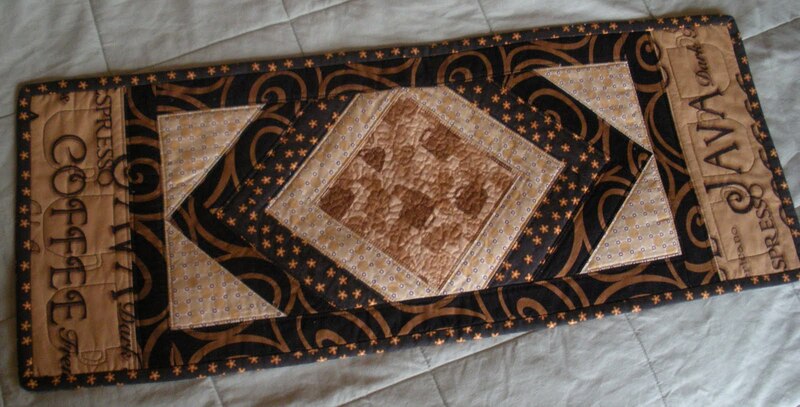 Great job on the quilting, Beth! 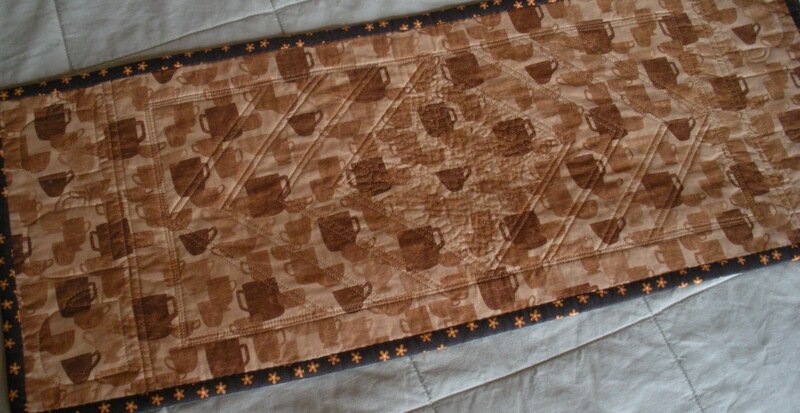 I love the coffe fabric! 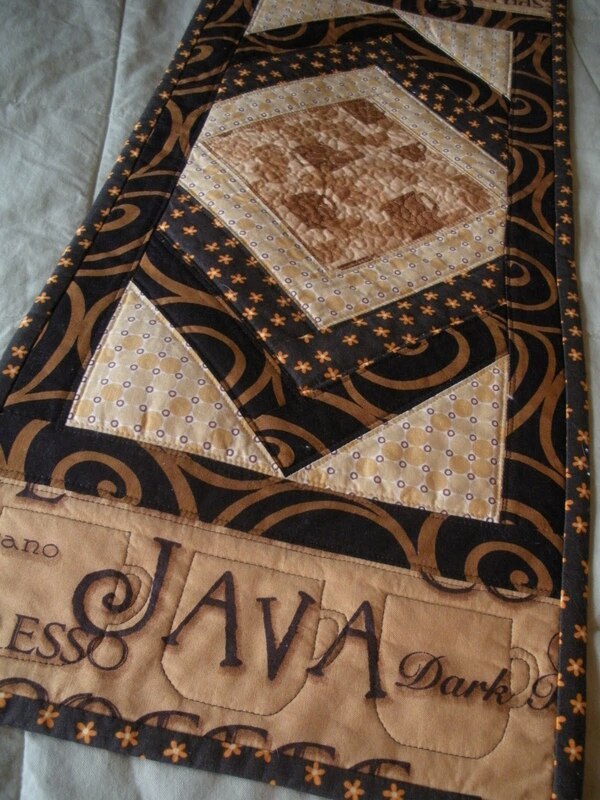 I'm a Java Junkie! cute coffee runner! love the cup cozy and pot holder too. very cute. 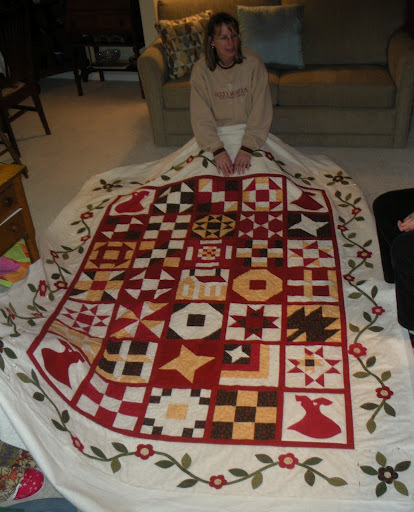 Hope that quilt goes for Big bucks! looks great! What an awesome gift! 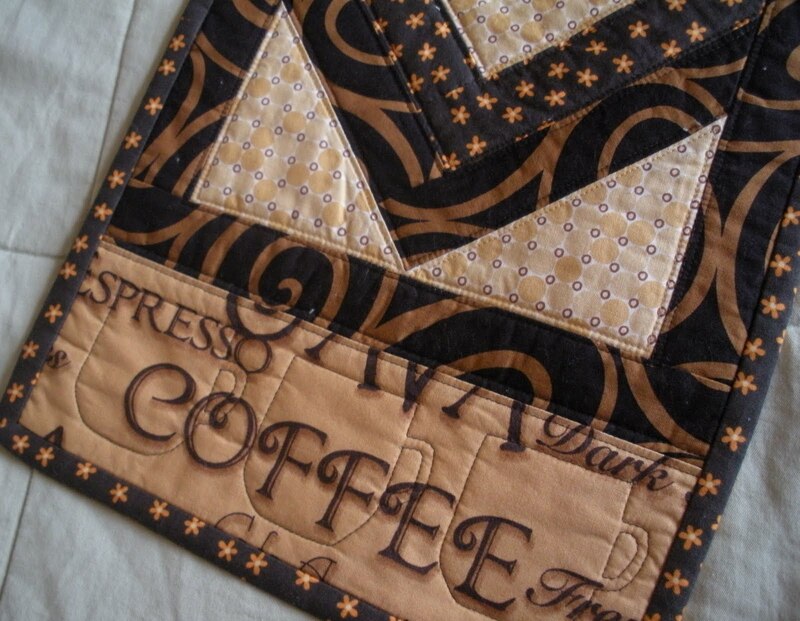 I love coffee, so I can imagine this was a perfect gift for your coffee-loving friend. 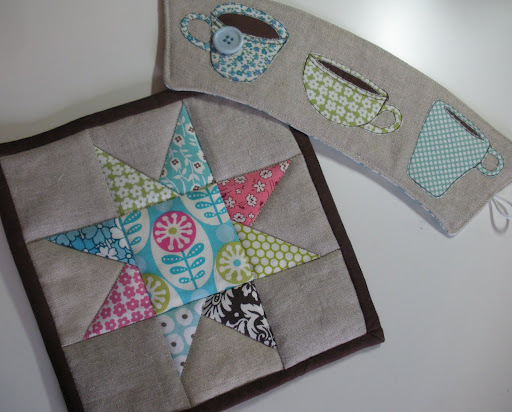 I especially love those coffee mugs you quilted into each end. And what an amazing quilt for the auction! What a great gift for a coffee lover!